Why pay thousands when you can relish a soothing experience every time you come home? 1. Opt for a refreshing palette in your T&B. White brings a sense of calm and openness, helping you create a bright, airy feel. 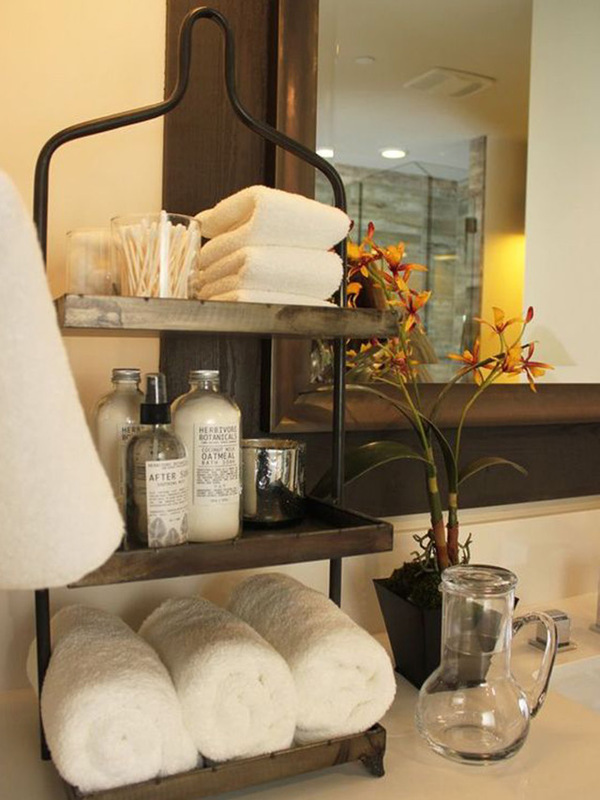 Use indoor plants as accents to instantly give your bathroom a tropical vibe. Wooden accents and accessories like mirrors and shelves add warmth, too. 2. 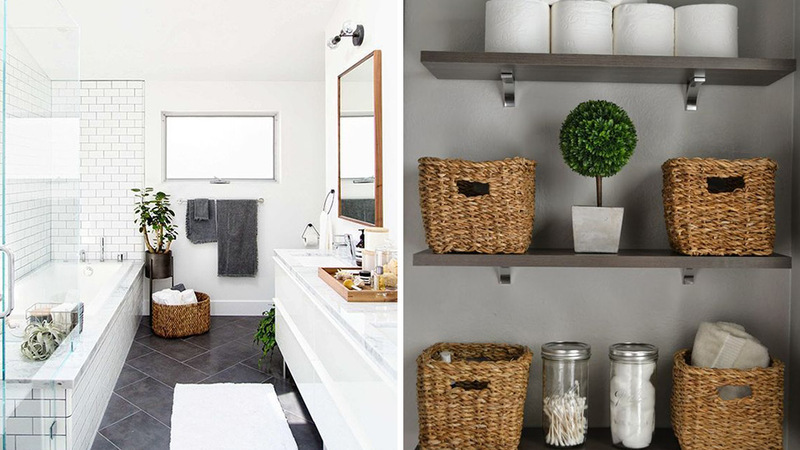 Use woven baskets as organizers to achieve a resort-like vibe without spending a lot. 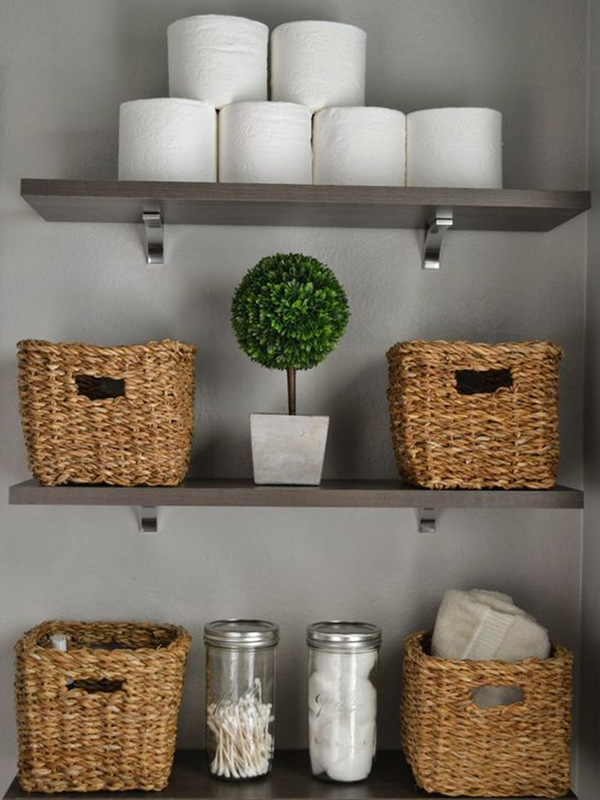 Use small ones to keep toiletries and towels in place. Bigger woven baskets can be used as planters and as a hamper, too. RL Tip: For a spa-like setup, place your woven organizers on a wall-mounted shelf. Neatly displayed woven bins and glass organizers can double as accents in your space. Old mason jars can be used as receptacles for cotton pads, cotton buds, and other essentials. 3. Turn a corner of your counter into a care nook where you can locate essential oils, scented candles, towels, skincare must-haves, and favorite shower gels. Having your pampering essentials in one corner can make it easier for you to get what you need while keeping the T&B organized. RL Tip: Aside from using a bathroom caddy to organize your essentials, you can also repurpose old cake and pastry stands to save on cash. 4. Complete the spa-like experience with a refreshing scent. 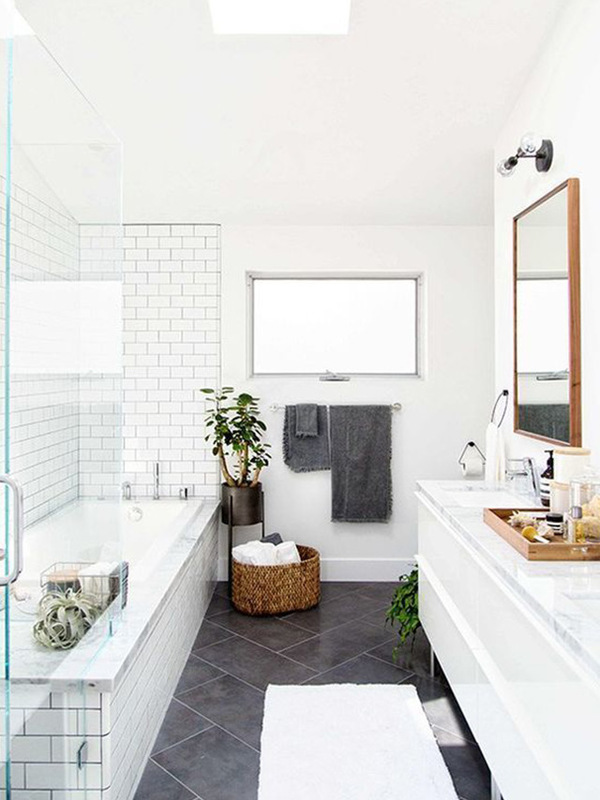 Natural picks like eucalyptus, lavender, potpourri, and chamomile are perfect for the bathroom as these give a calming and rejuvenativing vibe to the space. 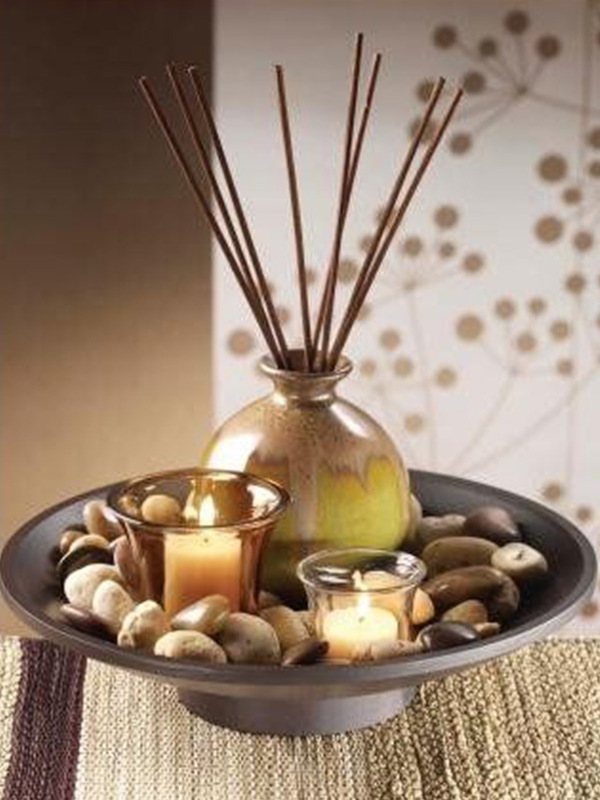 Consider adding scented candles in these fragrances or opt for a reed diffuser to ensure a lasting effect. 5. 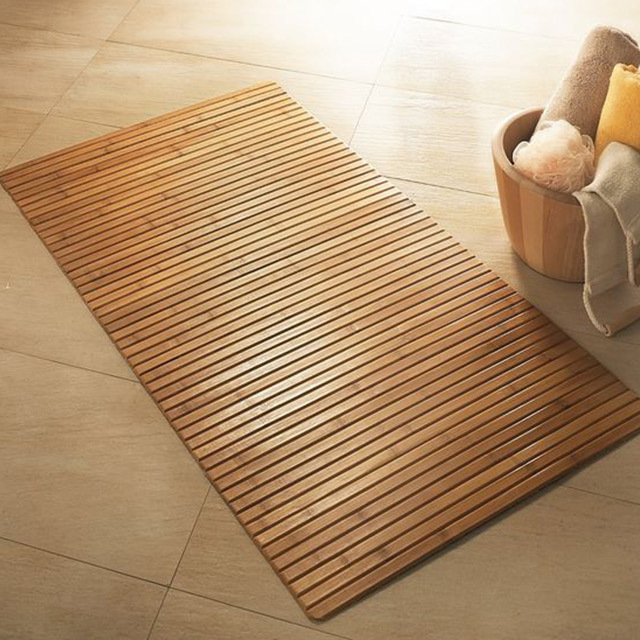 Bring in a bit of Zen into your bathroom with a bamboo bath mat. This can complement the wooden touches and indoor plants in your space for a truly resort-like appeal. Find a similar item at SM Home, H&M Home, and The Landmark Makati.